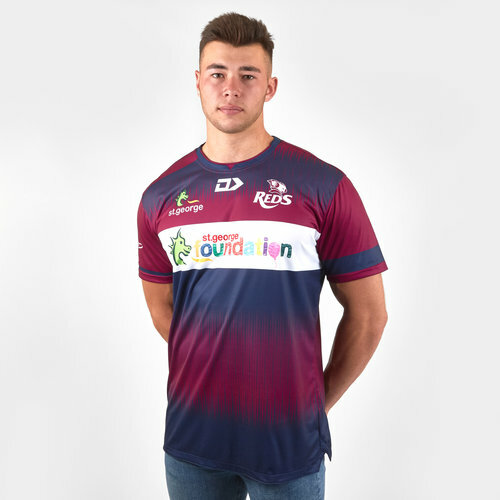 Go crazy for the Reds when you turn up to the Suncorp Stadium or to training in this Queensland Reds 2019 Super Rugby Players Warm Up T-Shirt from Dynasty Sport. The Queensland Reds is the rugby union team for the Australian state of Queensland that competes in the Southern Hemisphere's Super Rugby competition. From 1996 to 2005 they were one of three Australian teams competing in the Super 12 competition, alongside the New South Wales Waratahs and the ACT Brumbies. Queensland finished as minor premiers in 1996 and 1999. From 2006 to 2010, they competed in the expanded Super 14 competition as one of four Australian sides. Beginning in 2011, they are one of five Australian sides in the expanded and renamed Super Rugby, winning the competition in its first season in its new format. In 2012 they finished first in the Australian conference. In 2018 the team finished 4th in the Australian Conference and 13th overall so are looking to come out with a better result in 2019. 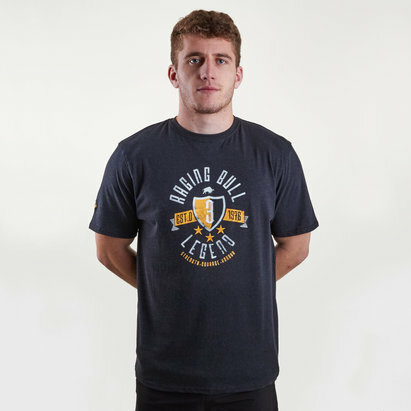 This warm up tee features a sleek new design and the latest in fabric technology. With bonded seams and heat-seal this light-weight garment proudly showcases the St. George and Queensland Reds logos across the chest.